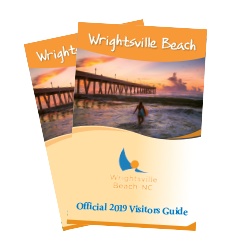 Nearly six months after Hurricane Florence made landfall, a few of Wrightsville Beach’s beloved resorts, hotels and restaurants are reopening their doors. With modernized upgrades and renovations, these businesses are looking forward to welcoming visitors back to experience their enhanced offerings. The Blockade Runner Beach Resort redesigned its lobby and restaurant, renovated its balconies and oceanfront and harbor rooms, as well as developed new menus, all to provide an elevated experience for guests staying at the legendary resort. Additionally, the Blockade Runner will also offer kayaking, sailing, yoga, volleyball and an oceanfront firepit. The resort is unveiling its upgrades in two phases: the tower building reopened its doors on Feb. 15, and the balcony building is set to welcome visitors again later this spring. Experience the first phase of renovations now by booking an overnight stay in one of the resort’s renovated rooms, alongside experiencing other offerings such as the on-site restaurant, EAST Oceanfront Dining. While the Holiday Inn Resort Wrightsville Beach was fortunate to receive no major damage from the storm, the hotel took the opportunity to revamp its guest rooms and event space. Don’t miss out on a chance to indulge in ocean views, outdoor terrace seating and new menu items from Oceans, the resort’s full-service restaurant. Wrightsville Beach’s only resort to offer all oceanfront suites, Shell Island Resort reopened on March 1. Guests will experience a renovated lobby, common areas, restaurants and more. Summer Sands Suites welcomed guests with renovated rooms and other cosmetic updates shortly following the storm. Conveniently located between the harbor and the ocean, the all-suite motel has been a favorite to visitors since opening in 1983. Connected to the Crystal Pier, Oceanic Restaurant plans to reopen its doors this spring. The island’s only standalone oceanfront restaurant was fortunate to sustain only cosmetic damage from the storm. Post-storm renovations will open up the space with more views of the ocean for those dining indoors. The historic photos decorating the restaurant’s interior have been reimagined to highlight the landmark’s history and heritage. In addition, the restaurant will be serving new cocktails and menu items. Mott’s Channel Seafood has been a staple seafood market in Wrightsville Beach since 1990 offering a superb seafood selection, homemade cocktail sauce and an impressive array of spices, as well as local food specialties. The family-owned and operated shop worked rigorously to reopen its doors in January. Grab a fresh catch for a feast to prepare at your vacation rental after a day of relaxing on the beach or take a taste of Wrightsville Beach with you by having the team at Mott’s pack a cooler to enjoy after arriving back home.